HEAD’S UP: We had so much fun in September talking show talk in 50 words or less that we are doing it again for Fall 2014 and for the forseeable future. Also expect our customary off-the runway catwalk alleyway walk-about chatter, banter and asides. Indeed though, Yours Truly, Neil Wolfson and whoever else joins our merry band will hold forth on what truly inspires or what is so painfully hideous that it is remarkable, but ever so briefly. And … game ON!!!!!! 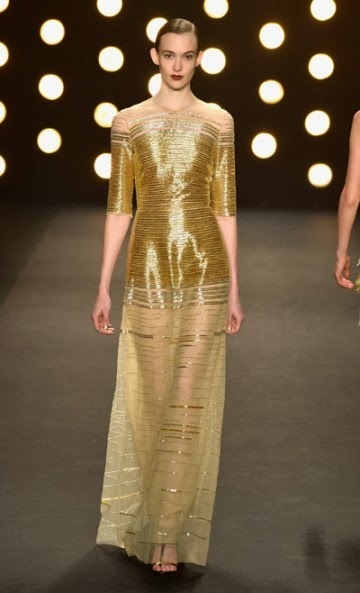 AT Rodarte, the siblings Mulleavy spend part of their Fall 2014 journey transporting travelers through "Star Wars." 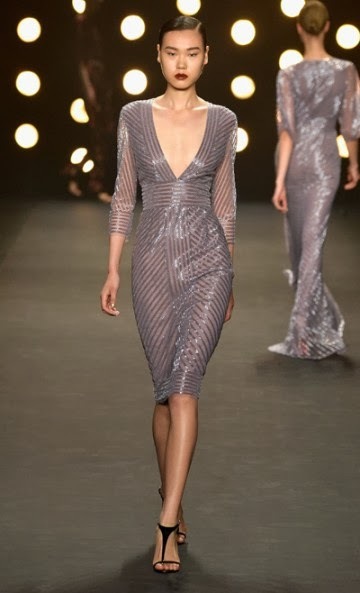 Meanwhile, back on Earth, Naeem Khan is transportive in his way. The gorgeous gownage and evening wear is stunning to the point of taking the onlooker to an alternate universe. Here is a bit of nirvana. Enjoy the photos … To be continued. Naeem Khan Fall 2014. 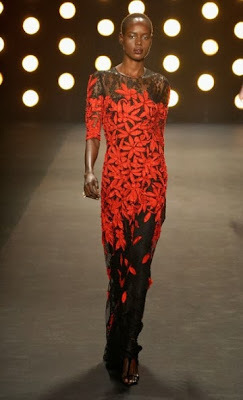 Photos courtesy of Mercedes-Benz Fashion Week. Visit http://www.mbfashionweek.com/ to learn more about Mercedes-Benz Fashion Week New York Fall 2014, including show information and videos.